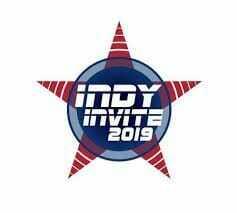 The Indy Invite brought together many of the top high school teams in the Midwest to finally establish a pecking order in the region after lots of weather cancellations and shortened events. Holy Family Catholic ran through the weekend almost unchallenged. The amount of disc skill and athleticism on the team was unmatched at the tournament, and their closest game of the weekend was an 11-6 win over Mount Notre Dame. Omega was consistently able to roll out lines of players with the ability to run the offense effectively, and nearly everyone on the team seemed to have a consistent knowledge and ability when they were on the field. For Omega, their talent runs deep. With players from U17 National Champion, Cincinnati Belle, in Rebecca Monnin and Therese Enders, the underclassmen of the team are well represented and experienced. Seniors Savannah Jeffries and Ella Enders play a major part in running the team’s O-line and D-line. For Holy Family Catholic, the dominant performance at Indy Invite is just a peek at what’s to come. They will finish off the year playing at Neuqua Knockout, the Ohio State Championships, and very likely at the High School National Invite. With a load of talent on the team, excellent coaching, and room to grow, the sky’s the limit for this year’s Omega team. Mount Notre Dame gave Holy Family Catholic the closest game of the weekend, but lost 11-6, showing that they are still a few steps behind the top teams in the country. In the rest of their games, though, they went relatively unchallenged, winning all games by at least three points. Mount Notre Dame has been a growing team for several years. This year’s MND team boasts a whopping 27 players. Of those players, six are seniors who are contributing a lot to the team’s success. Seniors Maddie Campbell and Libby Pung are two players who play a large part in initiating the offense, and setting the tone for Mount Notre Dame. With a large sideline, a dedicated coaching staff, and a growing program, Mount Notre Dame is showing that Holy Family Catholic is not the only notable high school team in Ohio. As the team continues to develop and grow through practice and competition this year, they are a team to be on the lookout for. Pool play on Saturday was filled with mixed results: only one of the four pools went to seed. Holy Family Catholic handled business in Pool A, finishing 4-0 to win the pool. Elsewhere, Lexington Homeschool Pi used depth and decision making to take down all opponents in pool B, Chicago Ragtag took the crown in Pool C with an array of disc skills and big play ability, and Neuqua Valley showed that they are still a top-tier program, taking on all comers in Pool D.
Saturday’s pool play set the stage for an exciting championship bracket, in which all four pool winners were able to reach the semifinals. Brebeuf and Pi came out firing on all cylinders early in their Sunday quarterfinals matchup. The two teams took off in a back and forth matchup before Brebeuf was able to rip off two breaks to take a halftime lead, 8-6, over Pi. Receiving out of half, Brebeuf looked to be in control of the game. On the backs of Josh Wu and Lindemuth, Pi came out of halftime with a new intensity. After rattling off four straight breaks out of half, Pi secured the lead, 10-8. Brebeuf finally answered to stop the run, making the game 10-9 before hard cap hit. Needing a break to tie the game, Brebeuf had a handful of chances but was unable to finish off a possession and get into the endzone. Pi secured the 11-9 win over Brebeuf and moved on to the semifinals, where they would take on the rolling Ragtag, a combo team of high schoolers from the Chicago area. After moving through Fox Valley Fusion in the quarterfinals, Ragtag moved on to battle Lexington Pi. Off their ferocious comeback against Brebeuf, Pi looked tired, and they were never able to get the offense going against Ragtag. Offensively, Ragtag took advantage of their size to make plays downfield and generated some energy for their sidelines. Defensively, Ragtag ran a zone while matching up on Josh Wu, effectively taking him out of the game. With their superstar locked down, Pi became unable to move the disc effectively, and Ragtag got off to a quick start. The lead ballooned, and Ragtag took off with a 15-5 win. One field over, in the opposite semifinal, Holy Family Catholic and Neuqua Valley found themselves in a downwind shootout, packed with big plays. On the back of Luke Monnin, Holy Family Catholic took advantage of big shots and deep opportunities. Nearly every point, Monnin was putting big forehands down the field for his athletes to attack. For Neuqua Valley, athleticism showed itself as the big contributor in their offensive success. Overall, Neuqua Valley looked to be one of the more athletic teams at the tournament. With a steady wind for the semifinals making the game largely a downwind offensive showcase, Sam Swiatek showed off a bevy of high-release throws that were just about unstoppable for the Neuqua Valley offense. Chicago Ragtag came out of the gates firing in the championship game, immediately forcing turnovers from the Neuqua Valley offense. Their clam zone look, with a lot of size up front, caused problems for Neuqua, as they struggled to find flow. After turns back and forth, Neuqua Valley opened the game with a hold, but Ragtag quickly gained a couple of breaks, and took a 4-2 lead to start on the back of some big throws from Mica Glass. Neuqua Valley used a timeout to regain some energy for the team, and quickly responded with a run of their own, picking up a grinding hold and a break to tie the game back up. The Neuqua energy was felt throughout the sideline. The two teams continued the back and forth action, before Neuqua Valley finally broke again, to put the game back on serve at 7-6, a lead they would carry to grab an 8-7 halftime advantage. Going into halftime, it seemed as though Neuqua had taken control of the game. The Ragtag offense had died down, and there was little flow, as the team just threw up hucks. Energy was down on the Ragtag sideline, and it seemed as though Neuqua Valley would end up pulling away. Coming out of halftime, the Neuqua Valley energy train kept rolling, as they forced an early-possession turnover, and quickly converted to break and take a 9-7 lead over Ragtag. Ragtag would refuse to give up, though, striking quickly to score, and turning the game into a dogfight defensively. After a couple of long points, Ragtag had broken once again, and the game ended up tied at 10 as hard cap went off. On double game point, Neuqua Valley filled their line with speed and athleticism. They quickly worked the disc up the force sideline with a handful of quick cuts, before striking on a mid-range shot to the endzone for the win, 11-10. With two Chicago teams in the tournament championship, there was camaraderie between the two teams. Many of the players have shared experiences together on YCC teams, as well as various other club teams throughout the city of Chicago. They even shared a handful of cheers. Despite playing fairly open lines throughout the weekend, Neuqua Valley showed an ability to dominate throughout the weekend. A combination of athleticism and team structure led them to a tournament title. Throughout the weekend, Center Grove High School failed to show the fire and intensity that was so much a part of last year’s team. On many of the points, the seemed to fail to generate the defensive pressure necessary to create turnovers and to generate opportunities to score. Offensively, Center Grove still has players with high levels of talent, and the system that has developed underneath the varsity team shows that they have room for improvement and growth. However, Center Grove lacks a single standout player who is able to take over the game at any time. De Smet proved to be an exciting team. With a high number of returning players who are able to make plays with and without the disc, De Smet is a team with a high ceiling. However, the team seems to be lacking the centerpiece handler that teams need to compete at the highest levels. Milford was, perhaps, one of the most fun teams to watch at the entire tournament. With a large sideline backed by parents and supporters making the trip from the Cincinnati area, Milford boasted a ton of athletes. A number of their players looked as though they were varsity football players, towering over their opponents and looking ready to make big plays. With a loud and excitable sideline, Milford is a team to look out for in the future; as they get hot, they have the ability to upset just about anyone. Madison West had a good showing, finishing 5th on the weekend. Their only losses on the weekend came to the two finalists, Neuqua Valley and Chicago Ragtag. WIth a dynamic handler duo in place, as well as a handful of athletes and returning players, Madison West seems set to take a 10th consecutive Wisconsin state championship. Eric Hoy (Fishers) established himself as a dominant downfield option early. Hoy, both as a deep cutter and as a looming deep in the Fishers zone, was virtually unbeatable in the air for much of the day on Saturday. Josh Wu (Pi) was perhaps the single most talented player at the tournament. High level athleticism, disc skills, and ultimate IQ push him into the upper echelon of players. Wu was a key contributor to the Pi offense and was a tough matchup for anyone this weekend. 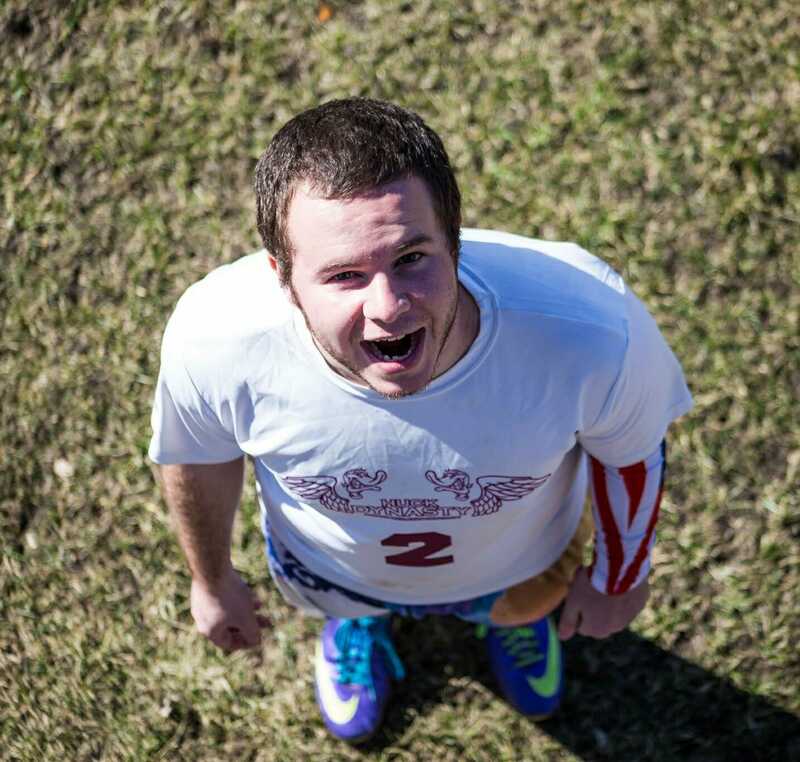 Mica Glass (Ragtag) is a high school sophomore with an immense amount of throwing skill. As a thrower, Glass is the type of player that makes the entire field an option. He was consistently getting open in the handler space and was always willing to make the big throw. Luke Monnin (Holy Family Catholic) is a large athlete and a powerful thrower. Tall and lanky, Monnin is a hard cover no matter where he goes on the field. In the handler space, he was able to consistently use his length and athleticism to get resets. With the disc in his hands, he can put the disc deep from a standstill. Sam Swiatek (Neuqua Valley) was one of the best athletes on the field. With a high motor and tons of speed, Swiatek was a brutal matchup and seemed to always be making huge plays for Neuqua Valley. Nick Phillips (Brebeuf Jesuit) is a junior who is making Brebeuf look like a top-tier Midwest team. Phillips is a special player with a lot of speed and energy that’s tough to stop. Phillips took over games individually for Brebeuf by winning his one-on-one matchup both in the handler space and the cutter space. Simon Dastrup (Ragtag) is a 16-year old with dynamic downfield ability. As a cutter and defender, Simon was a focal point for Ragtag. His ability to win his matchup one-on-one, combined with the throwing prowess of Mica Glass made for a dominant 1-2 combo all weekend. Comments on "Indy Invite 2019: Tournament Recap"